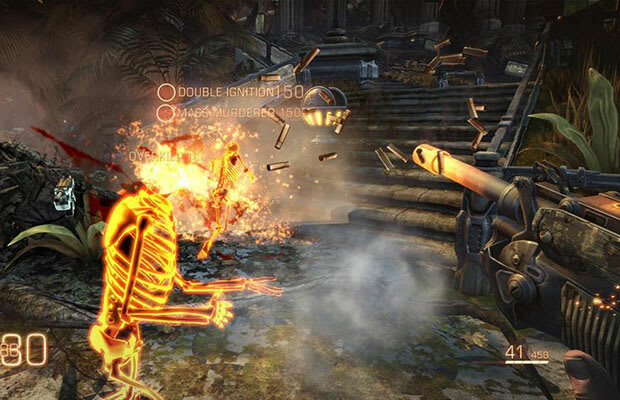 From what we've seen and played so far, Bulletstorm is breathing some fresh air into the FPS genre by jettisoning all subtlety and seriousness—a formula that seems to have paid off. People have been flocking to its demo (currently available on Xbox Live and Playstation Network) for its ridiculously juvenile humor and its premium on inventive, almost Rube Goldbergian homicide. And with the demo featuring 45 of the game's rumored 140+ "skillshots," the judicious use of which can rack up crazy points, playthrough videos have been peppered with seemingly infinite combinations of Voodoo Dolls, Afterburners, and French Revolutions. In fact, we've seen so many of them that we've started developing favorites. So without further ado, we present our personal all-star list of skillshots...at least until the game comes out on Feb. 22.